The Grands Montets chalet hotel accommodation is one of the best hotels with swimming pool in the Chamonix area. Regardless of the season and the weather outside, you will be pleased to have a splash in the warm water of our heated indoor swimming pool while enjoying the breathtaking landscapes of the Mont Blanc massif. For your comfort and tranquility, our swimming pool is exclusively reserved for our guests. The heated indoor pool (10m x 5m) is open daily from 7.00am to 9pm. Come for an invigorating swim to wake up before breakfast or to relax your muscles after a long hike! Discover also our spa and jacuzzi area to unwind during your winter or summer holidays. 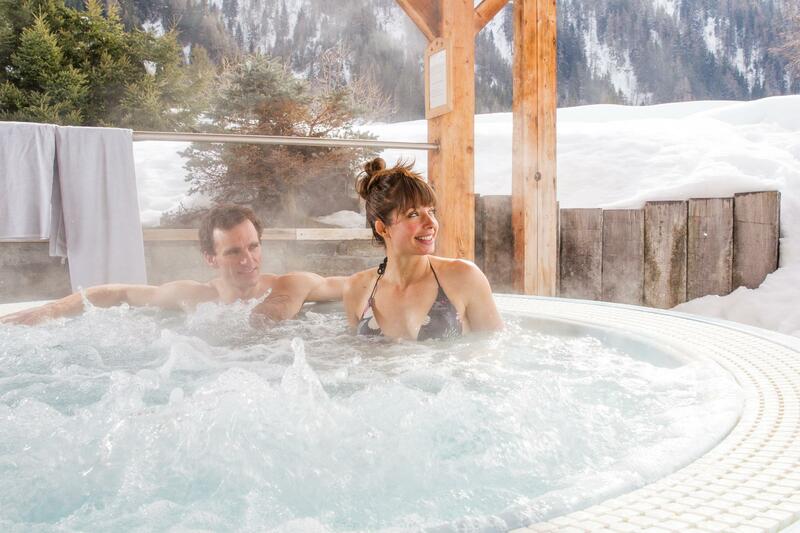 Our luxury 4-star chalet hotel is also equipped with a spa comprising of a sauna, a steam room, and an outside jacuzzi facing the Mont Blanc: enjoy the wonderful sight while relaxing and let yourself go with the flow for a moment of pure well-being. The spa is open every day, from 4pm to 9pm. Please note that it is for hotel guests only. Finish off your day in warmth and relaxation and enjoy a moment of pure well-being! A massage at the hotel swimming pool in Chamonix to end the day gently. What if this moment of relaxation continues? Our spa hotel in Chamonix also offers massages. Two formulas are designed to relax and recover. 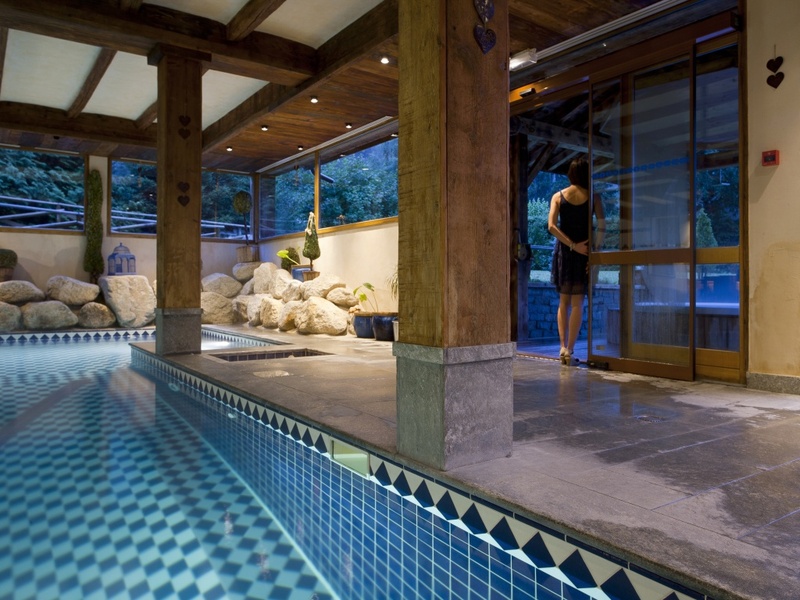 In order to provide maximum comfort, the spa hotel in Chamonix Grands Montets, has restricted access to these various wellness areas for guests only. Much more than just a hotel with swimming pool in Chamonix, Hotel Grands Montets is the 4-star destination for a holiday at the foot of the Mont-Blanc. We offer 2 types of massage to our clients: classics with Clarisse and reflexology with Caroline. For your peace of mind, the wellness and massage area is exclusively for hotel guests.